For NPR Music recently, the Wu-Tang Clan performed a medley of hits from their iconic catalog, celebrating the 25th anniversary of their debut album — Enter The Wu-Tang (36 Chambers). With backing from the string collective The Green Project, the Clan ran through posse cuts like “Triumph,” “Protect Ya Neck,” and “Y’all Be Warned,” as well as hits like “CREAM” and various verses from certain members’ solo projects (notaby “Glaciers of Ice” (Raekwon and Masta Killa), “Winter Warz” (Cappdonna and Masta Killa), and “You Don’t Want To Dance (U-God)), in addition to a thought-provoking freestyle from RZA. 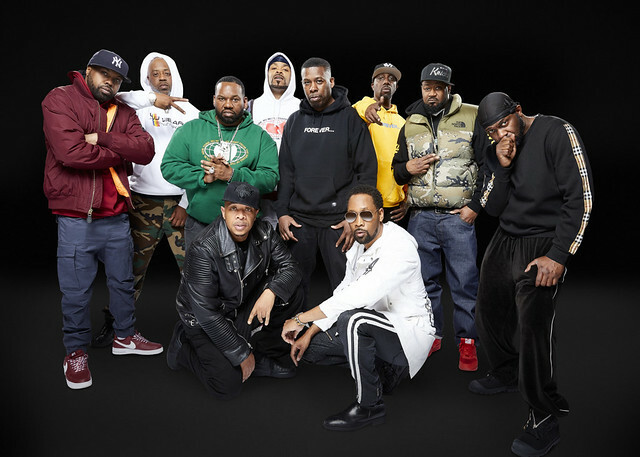 Make memories with the Wu-Tang Clan in Philadelphia! Buy your tickets online for Thursday, Jan. 24. The show is sold out for Friday, Jan. 25.